We’ll be doing the rounds interviewing speakers and attendees. Take a look at the lineup, who are you most excited to see? 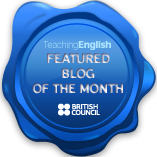 This is a lesson plan to help students approach and complete the new formal essay task in the CAE writing paper. Credit: Spotlight on Advanced – Cengage Learning and National Geographic. Brainstorm ideas based on the 3 bullet points. Choose the 2 bullet point you have the most ideas about. Inversions: Not only is/do…..but also… Rarely/seldom do people…. Participle clauses: Being a keen shopper myself,… Having bought many products online,…. An interesting way to introduce the topic. Formal questions that the essay will answer. Plan your conclusion: Focus on answering the question you underlined in step 1. Also Furthermore/moreover. Because due/owing to the fact that. Although In spite of the fact that. However nonetheless/nevertheless. Have you answered the question completely? Have students complete step 2 as a CAE speaking part 3 task. Draw a spider diagram on the board. 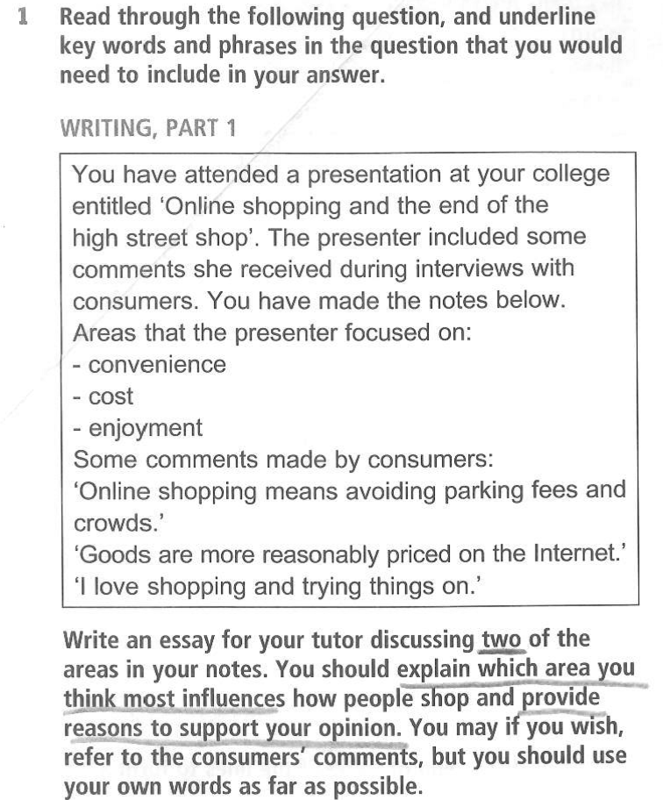 In the middle write: What influences where/how people shop? On the 3 spokes write the three bullet points: Convenience, cost and enjoyment. Briefly recap some language for speaking tasks and have students discuss the topic for 3 minutes. Hold a plenary session and board all the students ideas in note form. Then put them in pairs to complete the next step: Brainstorming impressive grammar structures to use. When shopping online not only do you avoid paying parking fees, but also crowds of people. Having shopped both online and in stores, I would say that…. Give out 1 copy of the third page of the handout to each student and have them complete it in pairs. Either hand out the paragraph upgrade sheet out or project it on to the board. Students must upgrade the language in the paragraph to make it more impressive and more formal. I hope you find these activities useful in developing your students’ writing abilities, I appreciate any feedback or constructive criticism in the comments section. Quite a well-know site but I’ve just stumbled upon this fantastic list of games for young learners. That’s my primary classes sorted for the next few months! This is a conversation exercise for adult students (A2+) in which they talk about and compare their experiences at school. I have prepared this activity as a follow up to studying comparatives and superlatives so encourage students to compare their schools and personal experiences: Your school was stricter than mine. Put students into groups of 2-4 and have them discuss the questions and then feedback/report what they’ve learnt from their classmates to the rest of the class. For small groups conduct the discussion as a class. Can you describe your school? Did you have to wear a uniform? If so, what did it consist of? What time did you have to start school? What were the rules at your school? (noun/gerund)… was prohibited/against the rules. Did you eat lunch at school? Who was the best teacher you had at school? Why? Who was the strictest teacher you had at school? What was your least favourite subject? Describe a typical day at your school. Have you been to your school recently? How much has it changed? Would you send your children to the same school? What things have changed for the better? What things have changed for the worse? Who was your best friend at school? Are you still friends with them now? Do you think school is easier or more difficult nowadays? Why? Homework: Write an essay comparing and contrasting modern schools to schools in the past. Or a “day in the life” description of your school experience.